Dangling with much perfection are these dainty turquoise bohemian chandelier earrings that beam in the ultimate of perfection, simply stunning as they swag from ear to ear. 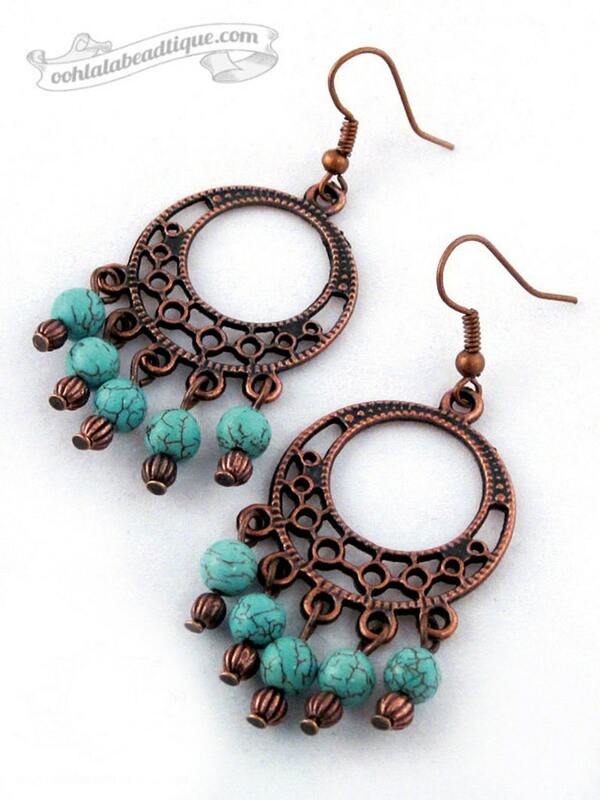 Turquoise Magnesite beads, and copper plated Tibet silver are combined together for a stylish look. The earrings are strung onto copper plated wire for strength, durability and drape. 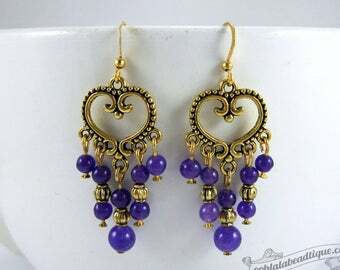 They are hanged on copper plated french hook ear wires. 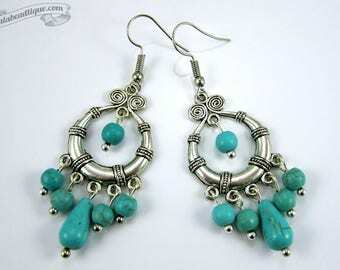 Turquoise Bohemian Chandelier Earrings are approximately 2.40 inches long including the hooks. Your Turquoise Bohemian Chandelier Earrings will be packaged in a decorative dust bag. It will then be shipped to you in a padded mailing envelope. Many Ooh-la-la Beadtique handmade products are crafted using natural components such as semiprecious stones, freshwater pearls, and wood. No two materials in nature are alike. 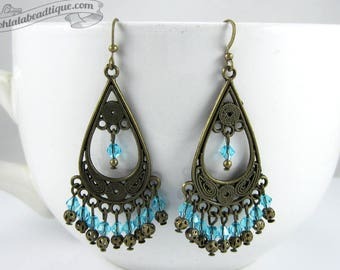 The handmade Turquoise Bohemian Chandelier Earrings that you will receive may slightly vary in shade and texture pattern from the picture listing. Also note, that all monitors and computer screens are calibrated differently. The same product may appear in diverse colors on different monitors.